The previous night I'd tried to download map data so my Navigation app would work, since Google Maps needed data to work. 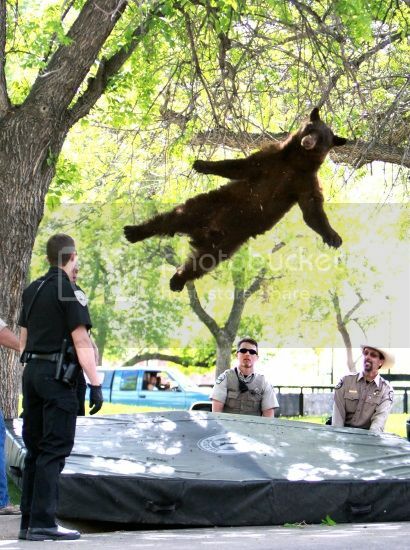 However despite 7 hours the download didn't finish. 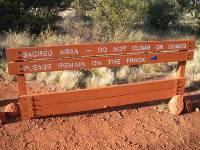 This wasn't that big of a problem, since when there was no data the direction to proceed in was generally clear. 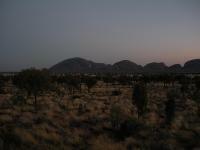 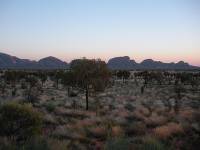 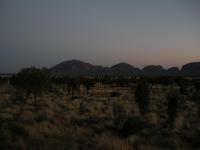 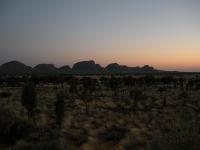 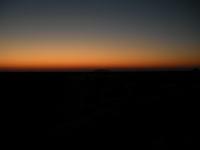 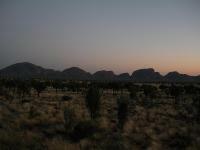 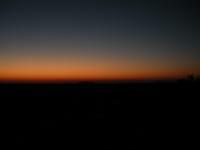 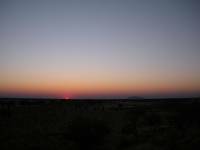 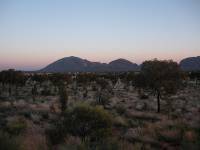 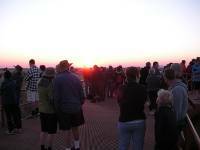 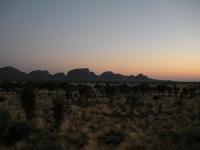 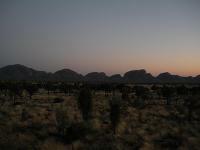 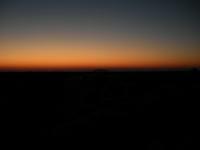 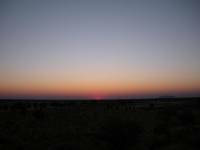 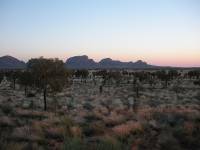 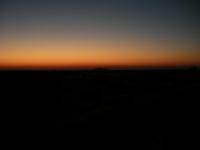 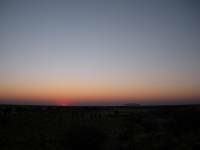 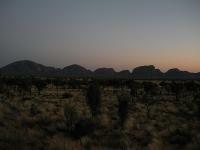 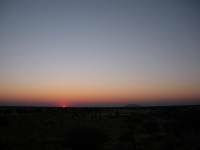 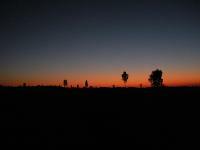 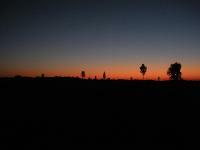 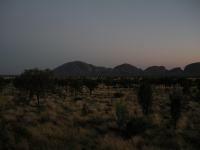 We woke up early to see the sunrise from the Kata Tjuta viewing point. 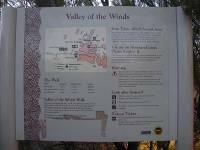 I've no idea what went wrong in the translation process. 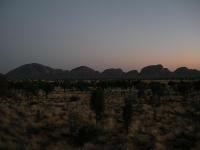 Ironically, though the viewing point was for Kata Tjuta everyone was looking at Ayer's Rock in the distance. 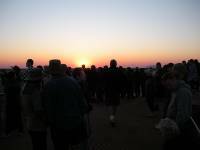 There was a Japanese tour group, which was comforting after all the PRCs. 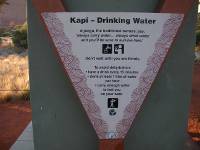 "Kapi - Drinking Water. 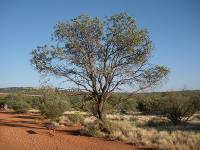 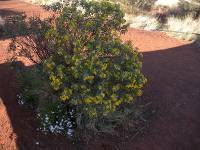 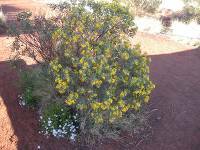 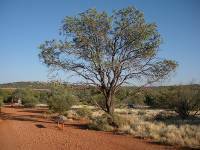 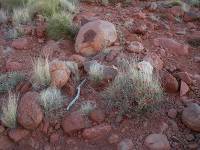 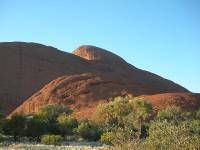 Anangu, the traditional owners, say:... always drink water and you'll be sure to survive here"
"Detailed knowledge of the area is restricted to certain people only. 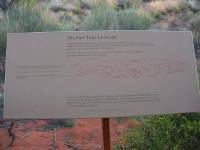 It is forbidden to pass this information on to the wrong people. 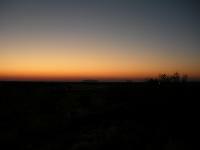 Therefore we cannot share any of the creation stories with you." 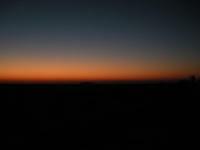 Hopefully nothing will happen to those certain people. 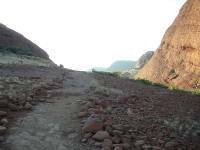 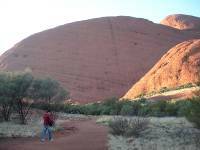 We then walked up to Kata Tjuta - the sand domes. 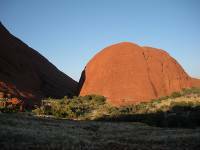 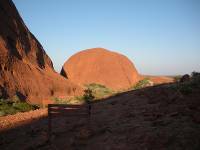 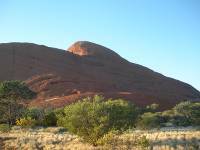 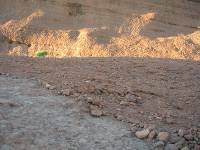 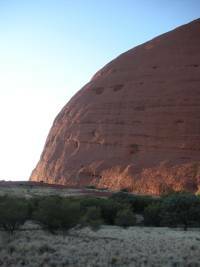 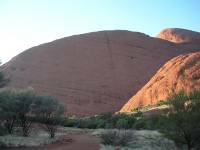 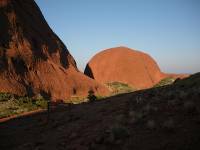 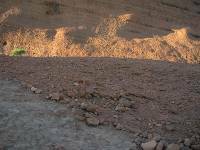 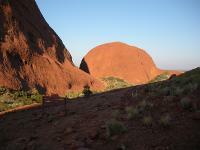 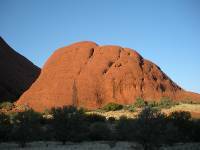 Unlike Uluru, you can't climb them (and you're threatened with criminal penalties if you do so). 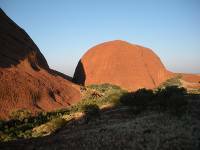 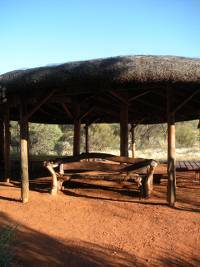 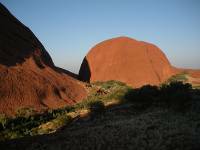 As they are probably less sacred than Ayer's Rock, the reason is of course that this wasn't in the agreement with the Australian government, like with Kata Tjuta. 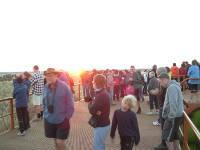 Due to time constraints, we took the Karu Lookout route, the shortest of the 3. 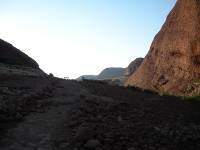 The approach. 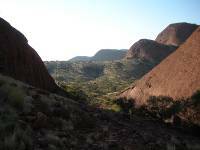 The aea reminded me of Las Médulas. 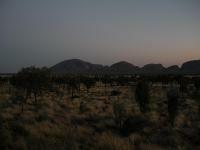 Others continued on but we turned back.